Did you know that YOU are one of the reasons our studio is so successful? Would you like an opportunity to share your love for dance with your friends and family AND be eligible for a FREE private dance lesson? All you need is to bring a friend, family member or even a new acquaintance to attend one of our guest parties. 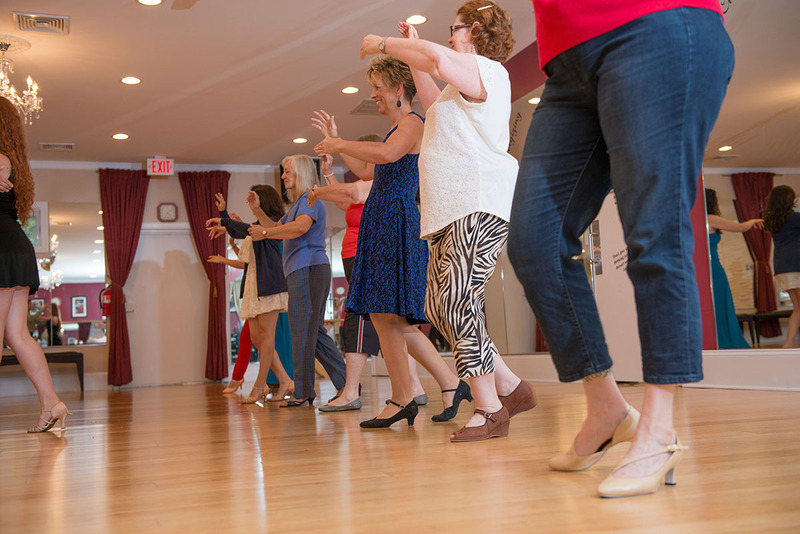 We will give multiple FREE mini introductory lessons and offer some open dancing. IF your guest(s) signs up and takes that first introductory private lesson, you will receive a free private lesson as a thank you for your referral. *Remember to RSVP so we can reserve a spot for you and your friend(s). 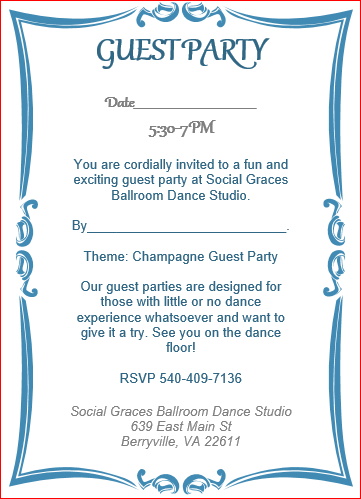 Call us at 540-409-7136 for more guest party dates.